This week's roundup of free games is all about life or death situations with dangerous and deadly games about zombies, mysterious monsters and editing a newspaper in an Orwellian country. 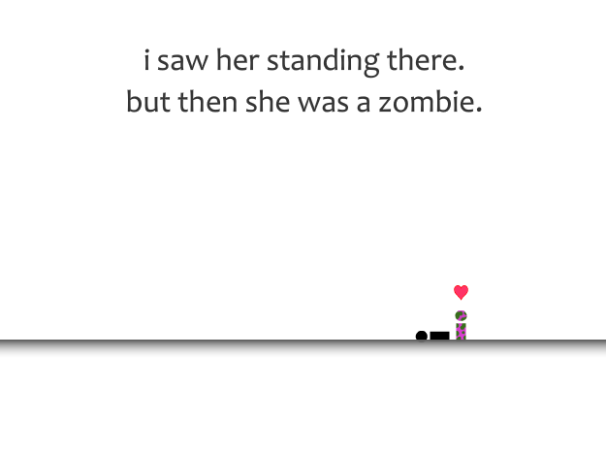 Our first game this week, I Saw Her Standing There, is a touching tale of boy meets girl. Except that the girl is also a zombie. To keep your love safe you need to guide her to a cage on each level without running afoul of the other, presumably less attractive zombies and other obstacles that stand in the way of your love. 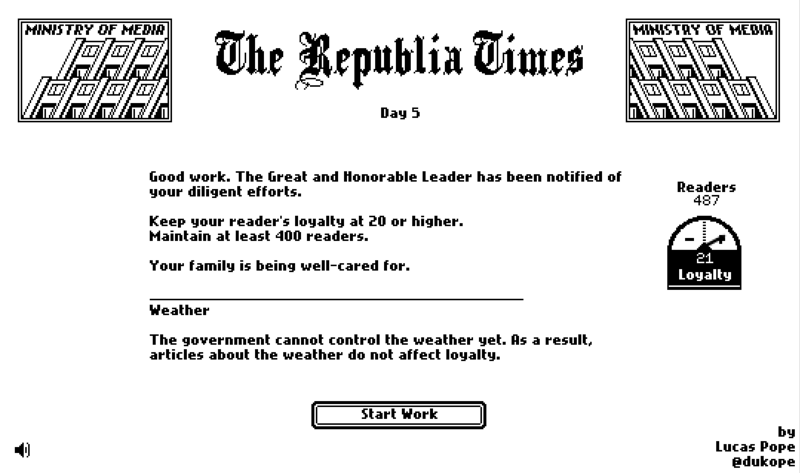 The Republia Times is an odd but compelling little game about running a newspaper in a dictatorship right out of 1984. To keep the government happy, and your family safe, you'll need to carefully edit the paper so readers stay loyal to the government without boring them all to death. There's more to the game than that but revealing too much would be ruining the twist. Regular readers of Free Friday might remember another SCP game from a previous Free Friday column. Like that game, SCP Containment Breach draws inspiration from the SCP Project but this time your main opponent is a deadly statue that attacks whenever you look away. The premise may seem familiar to Dr. Who fans, but SCP surprisingly got to the concept first and managed to make it even scarier.